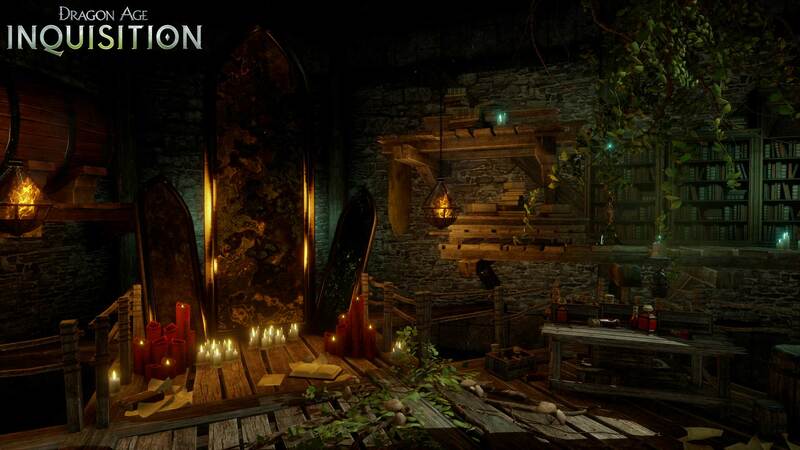 Free 'Dragon Age: Inquisition' DLC Coming This week | Nerd Much? With most games trying to make every extra buck they can with season passes and pricey DLC it’s always a welcomed and pleasant surprise when a company offers it for free. It’s even more unexpected when it’s offered for very successful and award winning AAA title such as Dragon Age: Inquisition. This week Dragon Age will be receiving two pieces of DLC, the first being titled The Black Emporium and the second is titled Dragonslayer. Both pieces of DLC will be released for free on all platforms this Tuesday, May 5. The Black Emporium will add four new “high-level stores that sell epic weapons, powerful accessories, new crafting materials and schematics, and other hard-to-find items.” The DLC pack will also allow players to change your characters facial appearance using the new “Mirror of Transformation.” The Black Emporium will be accessible to players from the war table and will also include more ways to customize your Inquisition. BioWare has also announced that PS4, PS3, and Xbox 360 will finally be able to access the Jaws of Hakkon DLC. Originally being a timed exclusive for Xbox One and PC, Jaws of Hakkon will be released later this month on May 26. So, all of you Playstation and Xbox 360 owners just dying for more Dragon Age won’t have to wait too much longer. Jordan loves him some Destiny. He’s a recovered World of Warcraft addict looking for the next big MMO. And, pretty much, everything since WoW has failed him. Could a Batgirl Game Be Next?